At BM Stairlifts we have a wide range of straight stairs, curved stairs and reconditioned stairlifts, manufactured by world renowned stairlift brands such as, Oto, Acorn, Meditech and Thyssen - both new and reconditioned - to suit every home and budget. Click on the videos to view some of our most popular stairlifts in operation. Complete our Free Stairlift Quotation Form or Contact the BM Stairlifts team directly if you have any queries via email at: info@bmstairlifts.ie or call us at: 01 802 0405 and we will happily assist you with your stairlift requirements. 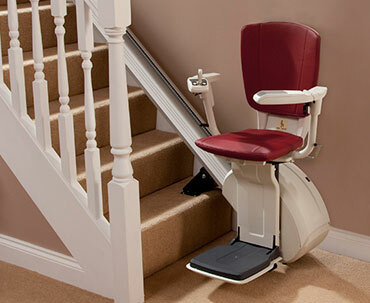 We have a range of stairlifts for straight stairs in stock ready to be installed. 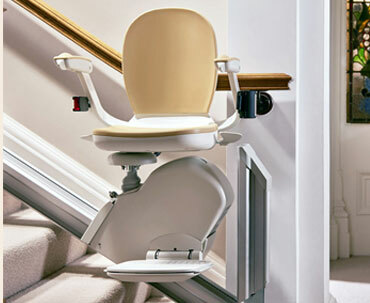 Straight stairlifts are suitable for staircases with no bends. We ensure that all our reconditioned stairlifts, meet our strict standards and to that effect we provide a 12 month guarantee. 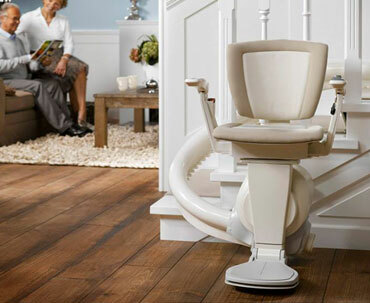 Our Stairlift Brands - Safe, Reliable and Built to Last!